Our guide will help you find all 11 Lucky Emblems in the Toy Box world. 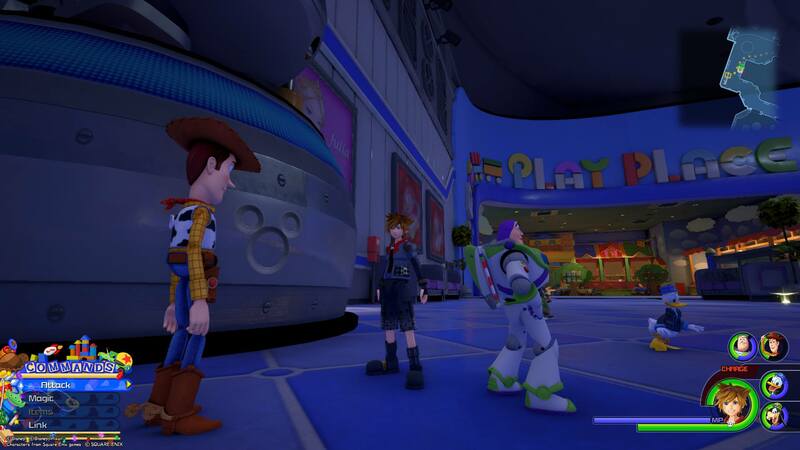 As you progress through Kingdom Hearts 3, you’ll make a lengthy stop in Toy Box, a world based on the Disney Pixar film franchise Toy Story. 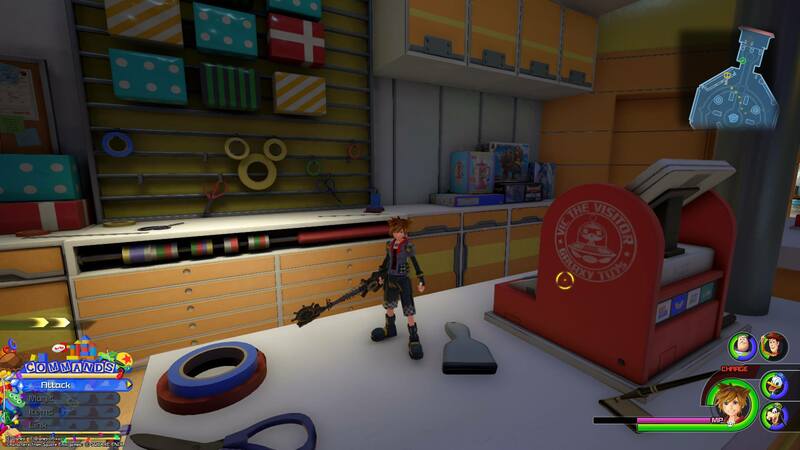 There are 11 Lucky Emblems (hidden Mickeys) to photograph in the Toy Box world, and our guide will help you find them all. Watch the video below to see the locations of all 11 Lucky Emblems in Toy Box, or keep reading to see a picture and description for finding each one. 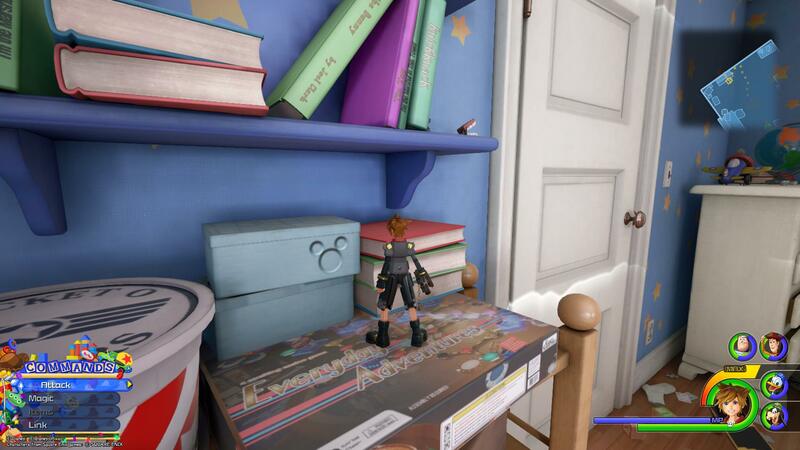 The first Lucky Emblem in the Toy Box world can be found inside Andy’s Room. 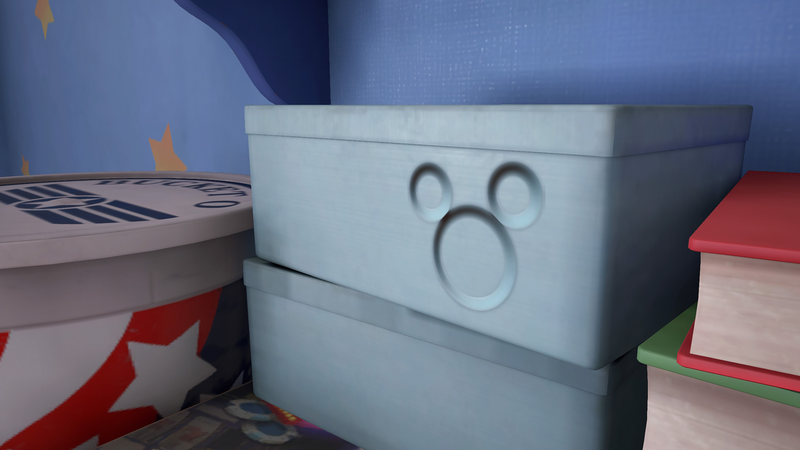 Climb to the top of the bookshelf, and you’ll find the Lucky Emblem on the side of a silver container next to the bucket of soldiers. Once you’ve photographed the first Lucky Emblem, jump out of the window that overlooks the garage (not the one overlooking the street). Make your way to the gutter at the bottom of the roof, but don’t jump off just yet. Instead, look at the shingles to find the second Lucky Emblem. Note: You may automatically slide down the roof and accidentally fall off. 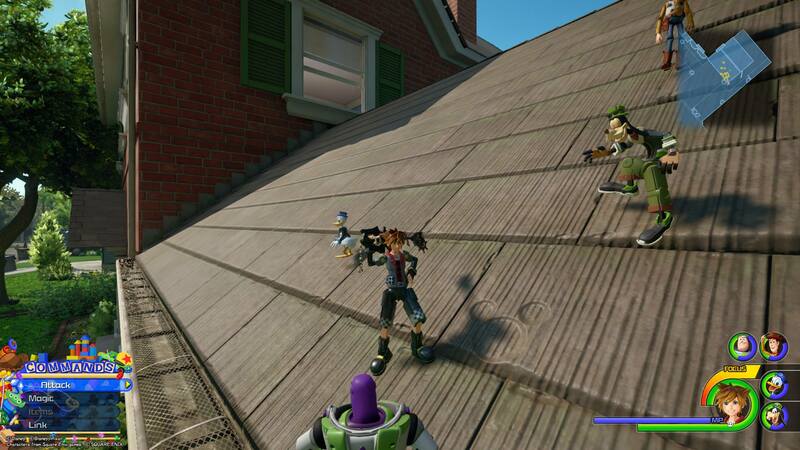 If this happens, you can wall-run up the side of the house to make your way back to the garage’s roof. Jump off of the garage and go to the front door of Andy’s house. Climb the stairs to the front door and then turn around. You’ll see the Lucky Emblem made out of leaves on the path in front of you. From Lucky Emblem No. 3, run across the street toward the blue house with the silver trash cans, blue recycling containers, and vehicle out front. 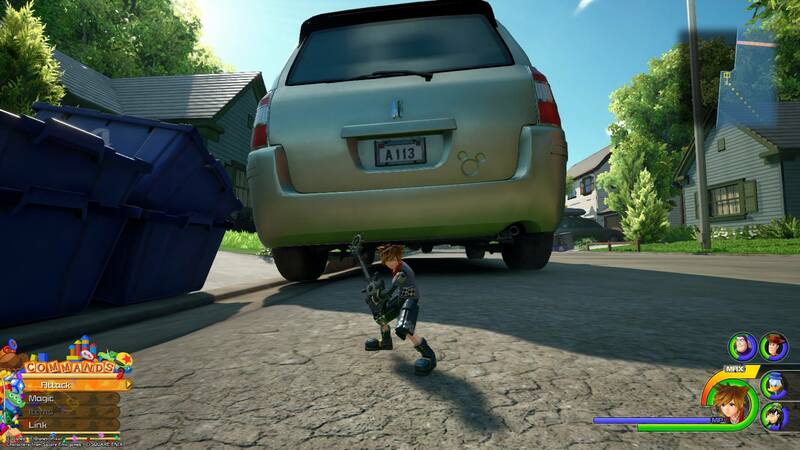 Look to the right of the vehicle’s license plate (which reads A113) to see the fourth Lucky Emblem. 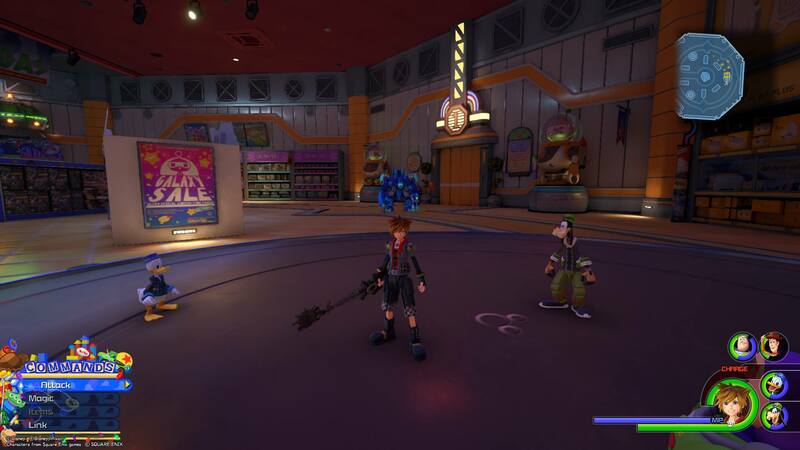 Once you have access to roam around Galaxy Toys, head to the front door of the store and walk outside. Turn right and walk over to some boxes stacked near the wall. The Lucky Emblem is formed by two stickers and a stamp on the side of some boxes. 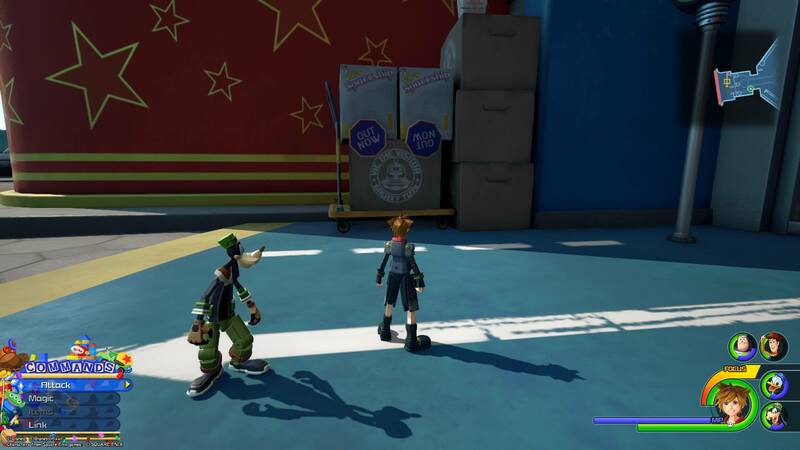 Note: If you’re collecting these Lucky Emblems on a return visit to the Toy Box world, you’ll start outside of the Galaxy Toys store when you load the area. Back inside Galaxy Toys, run over to the checkout area on the right side of the first floor, where you’ll see a “Wrapping Service” sign hanging from the ceiling, and wrapped boxes displayed on the wall below it. Jump onto the counter under the wrapped boxes, and you’ll find the Lucky Emblem made out of three rolls of yellow tape. Still on the first floor of the Galaxy Toys store, enter one of the Gigas toys that’s on display. Run behind the giant gumball machine and you’ll find a stack of toys in the shape of a pyramid. Knock them down by firing your Gigas weapon at them, and you’ll reveal the hidden Lucky Emblem on the platform underneath. 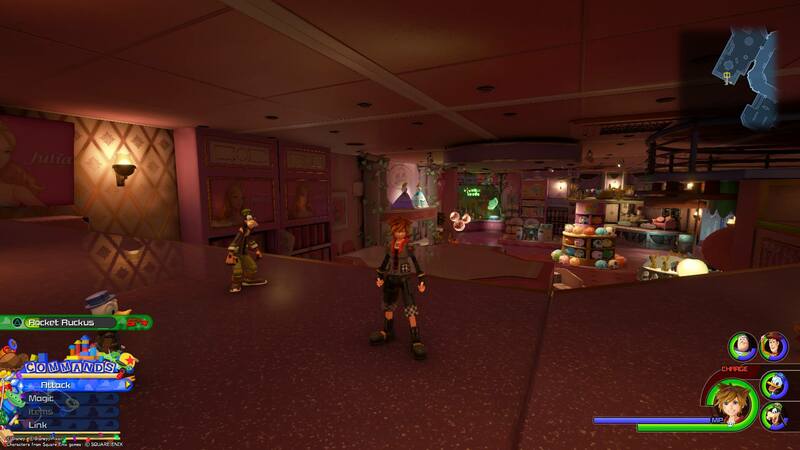 As you’re making your way through the Lower Vents to reach the Lovely Party store (also called Babies and Toddlers: Dolls by the game), you’ll come across a vent that can blow Sora and the gang up into the air, where you can reach the next section of the vents. Leave the vent at the first exit (not the top one) and turn around. 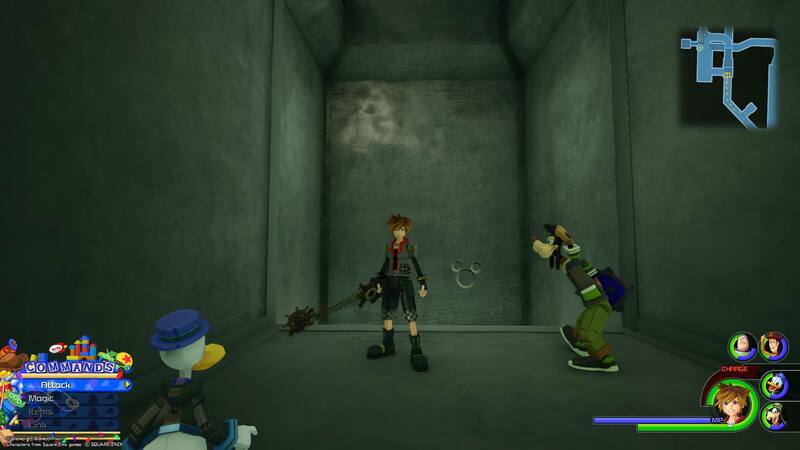 You’ll find the Lucky Emblem on the wall of the vent. Once you leave the vents, you’ll find yourself in the Lovely Party store. Before doing anything, note the location of the three sparkling orbs that are hanging from the ceiling next to two large dolls in the distance. Jump off of the shelf and land on the display case in front of you. Line up your photograph so that the three balloons form the Lucky Emblem symbol, and then take a picture to add the Lucky Emblem to your collection. Once you jump out of the window of the Lovely Party store, turn left and start running toward the Play Place store. Before you reach the store, you’ll come upon a large robot statue on the balcony. 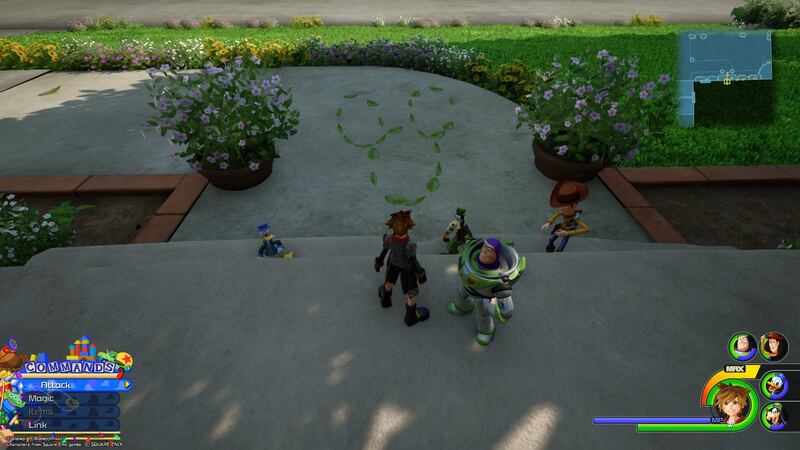 The Lucky Emblem is on the statue’s base. 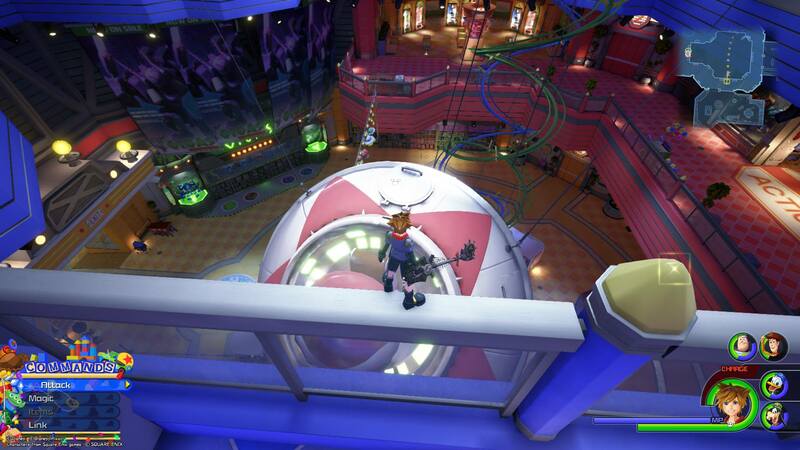 Once you find the 10th Lucky Emblem, make your way back toward the Lucky Party Store, and climb to the top of the balcony railing so that you’re facing the UFO hanging from the ceiling. Jump from the balcony railing to the top of the spaceship, and you’ll find the Lucky Emblem on top of the ship.